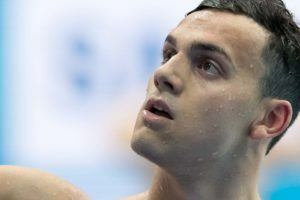 Aside from his selection on multiple Canadian national teams, including the 2014 Commonwealth Games, Pan Pacific Games and 2015 FINA World Championships team, there is one obvious reason why Richard Funk is sponsored by Aussie swimwear brand Funky Trunks. Funk is regularly asked, ‘What came first, you or the brand?’ which he likes, considering he wears Funky Trunks every day. “People call me Funk more than anything. It’s almost weird when people call me Richard,” he says with a laugh. 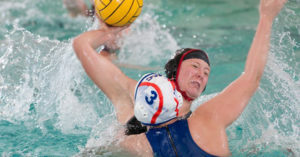 Having finished his collegiate swimming for the University of Michigan in which he helped the Wolverines to their 2013 NCAA title and was named an All-American three times, Funk now trains with the pro team. 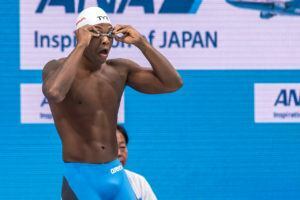 He graduated with a Bachelor of Science in Neuroscience and plans to enrol in medical school, but that’s after his swimming career is complete. 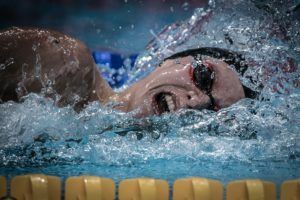 For now he is focused on his dream to swim at the Olympics for Canada, which is driving him to train harder than he ever has through the cold Michigan winter. SwimSwam caught up with the Funky Trunks athlete to find out what it’s like being the Funk. My older sister started when she was young, and I just wanted to be like her I think. I needed something to do in the summer when the ice melted in Canada! You were born and raised in Edmonton, Alberta, when did you move to the US and why? I’ve been based in Michigan for the past four years now, after being recruited to swim at the University of Michigan. It was absolutely a move for my swimming career. What’s it like being a swimmer in such a cold climate? I’ve never been in a climate where we’ve been able to train outdoors, the water would freeze. The worst part about it is waking up at 5 in the morning and having to scrape all the ice and snow off the car before driving to workout. Either that, or having your hair instantly freeze when you walk outside after training. Do you have any mentors or swimmers you look up to? I’ve always looked up to great Canadian swimmers like Ryan Cochrane and Martha McCabe. I have so much respect for athletes like that who have been around for so long at the top of their game. I’ve also looked up to Cameron Van Der Burgh for some time, and developing a friendship with him over the last few summers at meets like the Commonwealth Games, Mare Nostrum and World Championships has been awesome for me. What are your early swimming memories? I remember my first swim race ever was a 25 freestyle at a 10 and under meet. 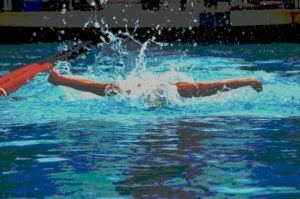 I didn’t know what I was doing really, so I got to the wall and touched with two hands because I heard a coach tell another swimmer they had to do that in the race before me. Only they were doing breaststroke. Afterwards when I found out I did something wrong I cried. How are you feeling in an Olympic year? I feel confident so far. I did my in-season best times a few weeks ago in Seattle, so I’m in a good place personally. Representing Canada at the highest level of our sport would be a dream come true for myself, and I’m ecstatic that I’m in a good position to do so. What is the process of qualification for you? Our Olympic Trials are in Toronto in April and I either have to come first or second in the 100 or 200 breast, and go under the FINA A standard times, which are slower than my best times. So basically if I do best times, and win at our trials I’ll go to Rio. What is your current training regime? I train with Club Wolverine in Ann Arbor, which is the pro team associated with the University of Michigan, which I just graduated from in April. Because we train with the current college team, I’m lucky to have about 40 training partners to grind alongside everyday. It’s a great location, with numerous Olympians, World Champions, and some of my very best friends in the world there with me. I only wish we could relax at the beach on the weekends! Funk is part of the Funky Trunks sponsored athlete program called the F-Team. To see the latest from the Funky Trunks range head to www.funkytrunks.com. Follow Funky Trunks on Twitter here. Follow Funky Trunks on Instagram here. Like Funky Trunks on Facebook here. See the Funky Trunks range on SwimOutlet.com here. See the Funkita range on SwimOutlet.com here. Swimming News is courtesy of Funky Trunks, a SwimSwam ad partner.